We are excited to offer some of the best whitetail deer and wild turkey hunting in North America. 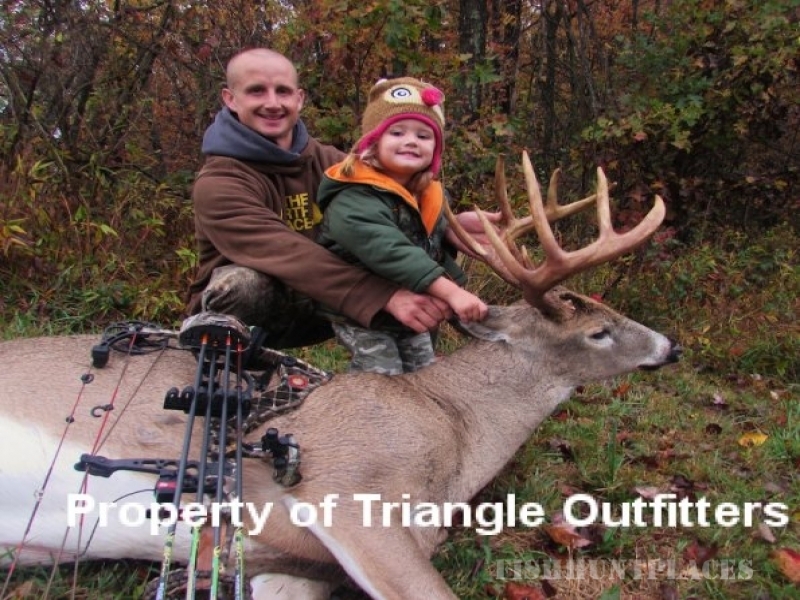 Ohio's trophy triangle is one of the best kept secrets in the whitetail world. 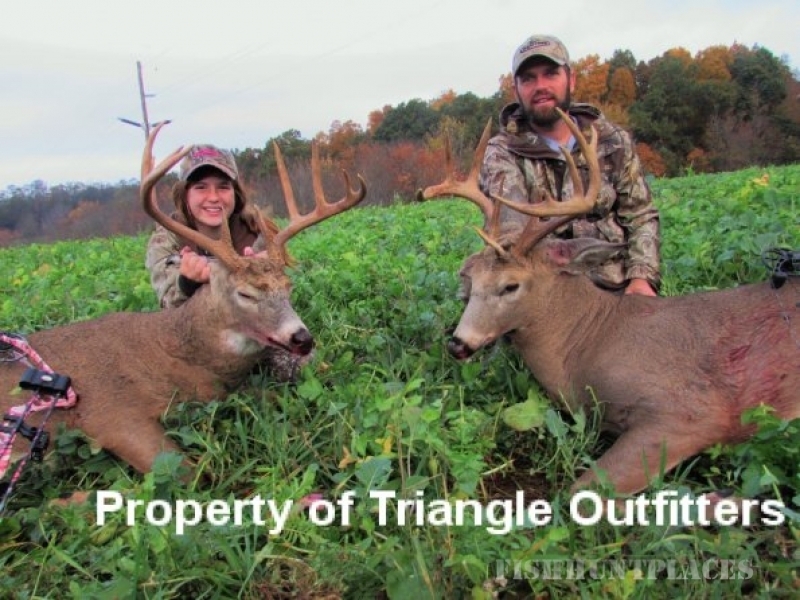 The Triangle offers an abundance of trophies in the 140 and 150 range and it is not uncommon for the Triangle to yield bucks in the 170+ range! For hunting regulations and license, please click here for the Ohio Department of Natural Resources website. All first time hunters are required to complete a hunter's safety course. You will need proof of completion of the course or a previously purchased Ohio license to purchase your license. You arrive at a preset time the day before your hunt. You will hunt 3 to 7 full days and depart the morning following your last day of hunting. Upon arrival we will introduce you to your hunting area and consult with you on the best kill zones. We will assist you in setting up your equipment for the next day's hunt. 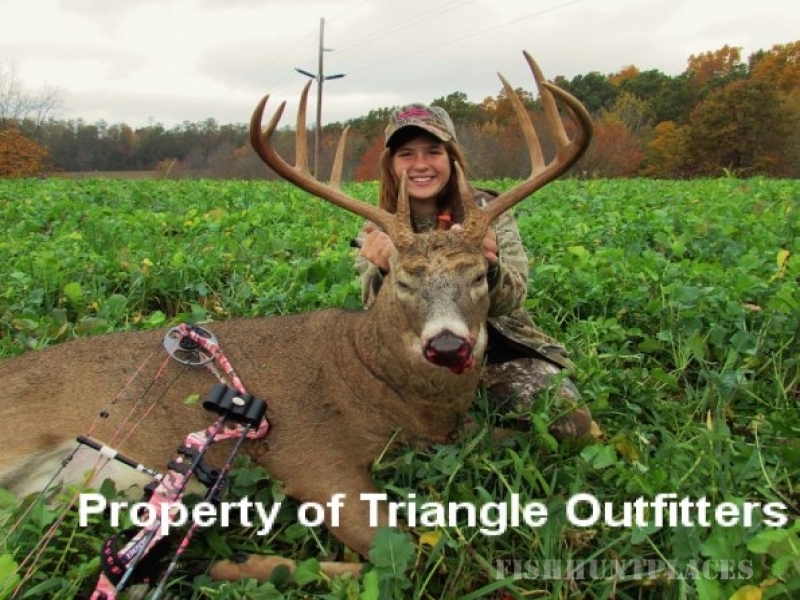 Hunt location cannot be changed without approval from Triangle Outfitters. 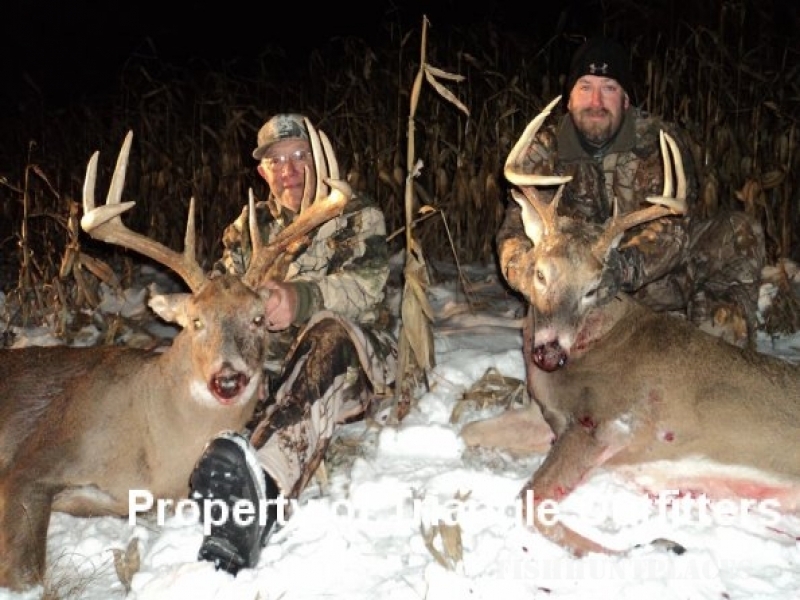 Our cabins are located at various areas of our hunting properties. Cabins offer 600-750 sq. ft. of living area and are appointed with all the modern conveniences. Each cabin will comfortably accommodate 4 or 5 people. Three meals will be served at our operations headquarters and it will be your choice to join us or prepare your own meals.